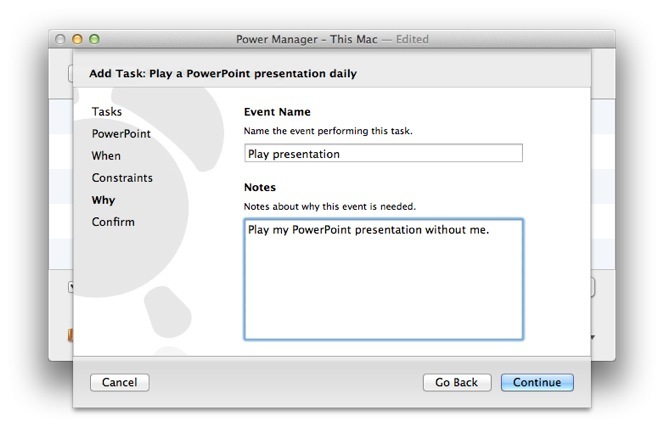 This recipe walks through scheduling a PowerPoint presentation to begin playing without needing human interaction. 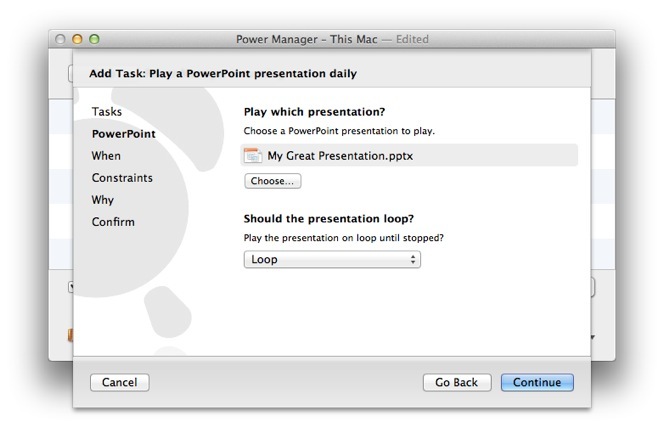 The presentation will automatically launch and begin when you need it to. 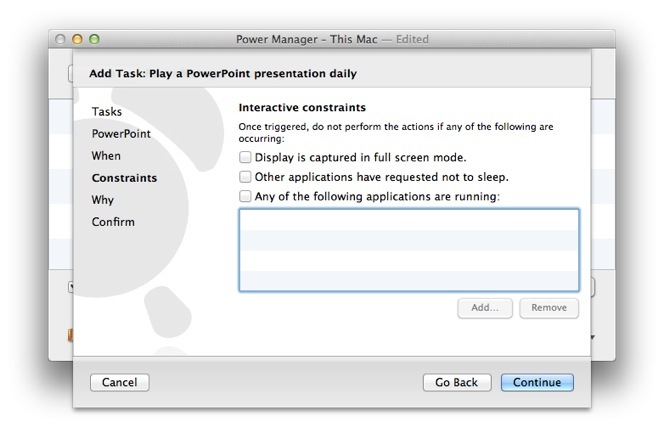 Previously we discussed how to start a PowerPoint presentation using Power Manager and an AppleScript. 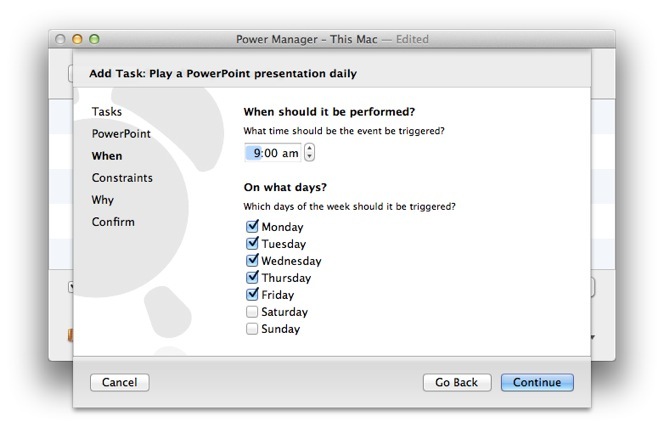 Since then, Power Manager has gained new presentation Schedule Assistant tasks. 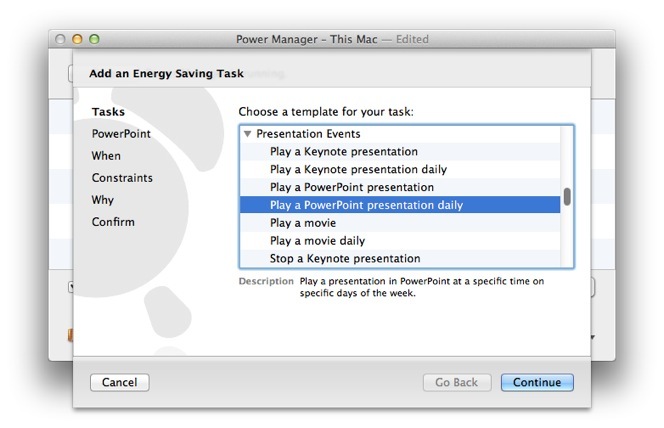 The task we want today is called, Play a PowerPoint presentation daily, and this task makes setting up your PowerPoint presentation even easier. 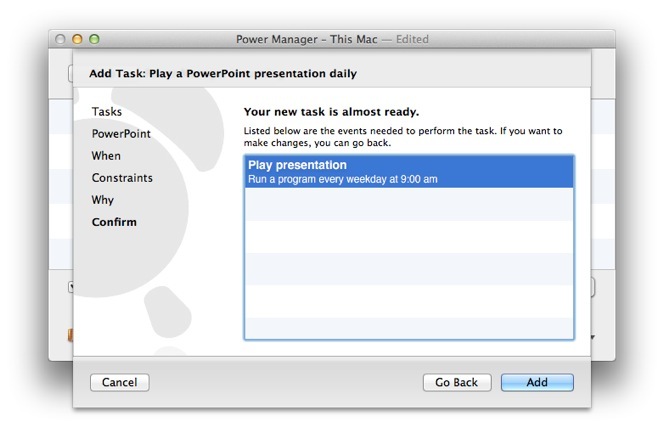 Let's create an event to play a presentation at 9:00am each weekday. You can combine this event with others to create your ideal schedule. 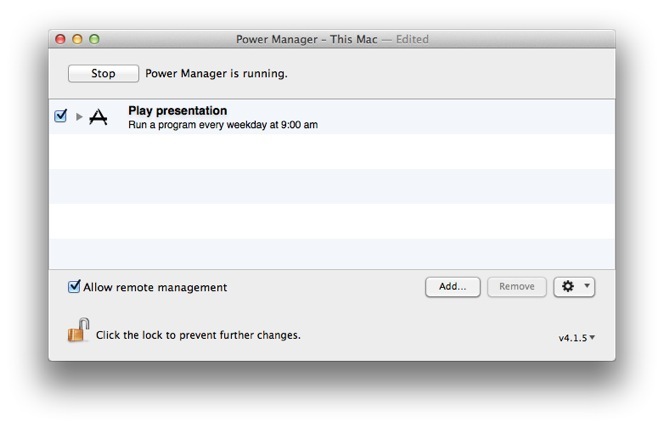 Consider using Power Manager to power on your Mac shortly before the presentation is scheduled to start. 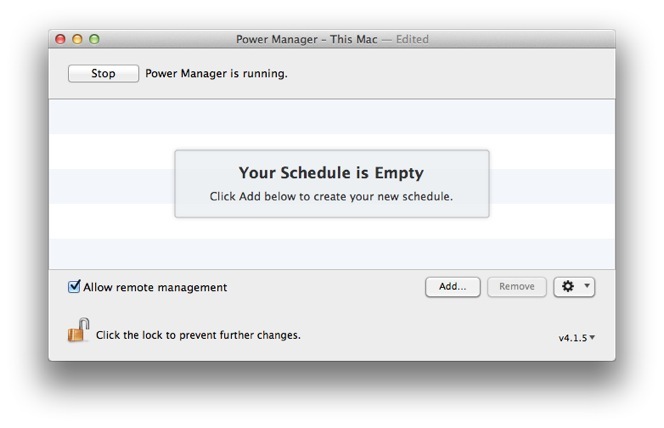 With Power Manager you can create a series of events that powers on a Mac, starts a presentation, waits for the day to pass, and then shut downs – all without needing anyone to look after the computer. Perfect for Macs in window displays or trade show installations. This article was posted in PM4, Power Manager, and Recipe and tagged PowerPoint, and presentation.